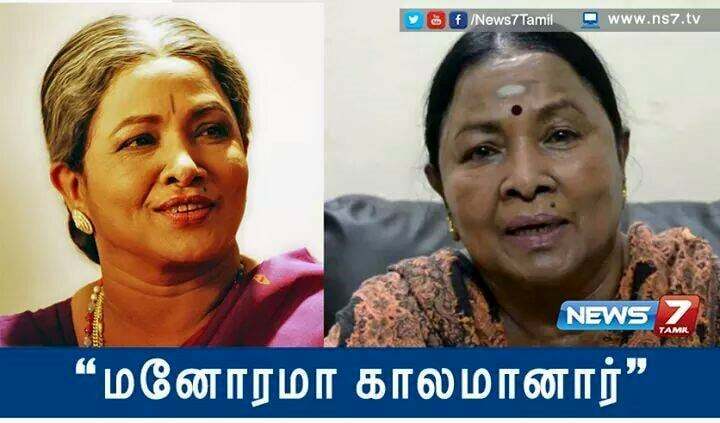 Legendary Actress Manorama Passed away today and almost the whole industry was schoked . She was kindly called as ” Aachi ” by her fans and the whole tamil industry ! She has acted in more than 1000 films and 1000 stage dramas and also in some TV serials. She is also found be one of the greatest female Comedian ! She has shared screen space with all top actors and actresses for generations. She is only second to Sukumari in most number of films acted. She was awarded the Padama shri in 2002. She won the National Film award for best supporting actress for the movie Pudhiya Pathai in 1989. She was the recipient of the Kalaimamani award by the government of Tamil Nadu. She holds a Guinees world record for acting more than 1000 number of films.